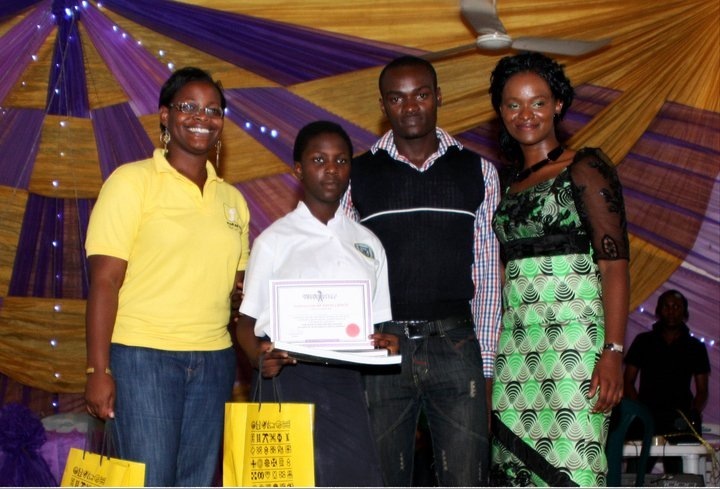 I met Chizoba Imoka about a year ago when she asked me to speak at the mentor-ship session at her Teenagers conference. A humbling and satisfying experience if I may add. Since then, we haven’t only become friends but collaborators and somewhat advisers to each others social change projects. 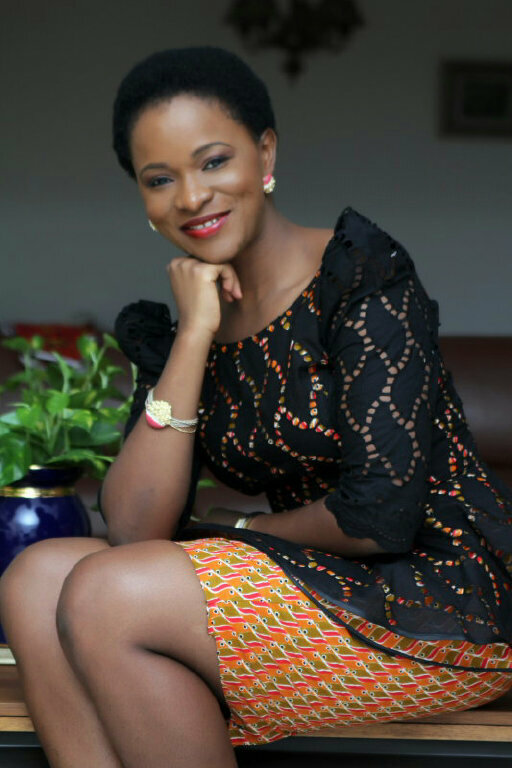 Spilling over with passion, in the past two years, Miss Imoka’s Unveiling Africa Foundation has been on a crusade to turn the Nigerian teen into the model citizens their predecessors never were. This year has been a big year for Miss Imoka, after giving away millions in educational scholarships, running successful essay contests and watching one of her mentees go from the streets to a hair stylist trainee. She has also been nominated for ‘The Future Award’ in the advocacy category. This August, Chizoba will embark on a Masters degree in Educational Administration and Collaborative International Development Education at the University of Toronto in Canada, hoping to delve further at PHD level. She has also launched the ‘TIP’ contest, an innovation contest for teenagers that allows them create practical and active solutions to social problems.We talk about the Unveiling Africa vision, the sustainability challenge and the little victories. Can you tell us about why, when, and how Unveiling Africa was brought to life? I started Unveiling Africa Foundation in 2006 as a student at the University of Alberta, Edmonton, Canada. My conviction about the need to start Unveiling Africa Foundation was deeply rooted in my desire to secure a better future and identity for myself, my family, my unborn children, nieces, nephews, God-children and the millions of Unborn Nigerians and teenagers that I feel deserve a functional Nigeria simply because it is obtainable! While living in Canada, I had a rude awakening about what it meant to be Nigerian and African. Being associated with the Nigerian identity especially living outside the country wasn’t always a thing of pride for me. I was disgusted about the fact that I learnt more about my Nigerian /African history when I moved to a foreign country. I did not understand how I did not realize or think Nigeria had such a big development problem when I was in the country. I found it insulting on behalf of Nigeria that all these realizations came when I moved out of the country. My Canadian friends and acquaintances just couldn’t understand how Nigeria had so much resources in human, financial and potential wise but had little to show for it. Everything we heard about Nigerians in the news then were either scams, violence or corruption related. When it is not that, you hear about Nigerian government officials visiting town supposedly for an international conference but you find them gallivanting around town. When I got to class too, it’s another African nightmarish conversation about how the West needs to come and help Africa. You get to student union, you are bombarded with student groups trying to build villages and raising money for Africans. Whereas, when you get to Nigeria, you hear and see politicians raising billions in one night and spending 400 million naira on rice for a whole village just so that he/she can win electoral votes. I was sick and tired of the whole situation, It was very clear to me how things could turn around and I knew that being able to identify all these issues came with a burden to do something about them. Starting UVA was my platform to do something i strongly believed was obtainable and to create a movement of people willing to drive the society in a different direction. What is the vision for UVA and what have been your proudest achievements so far? The vision for UVA is for us to become a powerhouse that produces and influences the caliber of Africans that we will be entrusting our future to and to become an employer of labour. More importantly, beyond being ‘charitable’ as an organization, what we are really trying to do is to introduce an alternative model of development that is focused on treating the fundamental issue and not it’s manifestation alone. So for example, in my opinion,Nigeria’s problem isn’t the fact that our roads are bad or basic needs are luxuries that even the rich cannot afford but that the society has become a breeding ground for things like this to occur. That is, the society has produced people and values that perpetuate and reinforce a system where basic needs are not available, corruption is a way life and priorities and values are misplaced. Hence in sustainably solving Nigeria’s problems, the focus ought to be on changing the mindset and mentality of the people that drive and create the society. This alternative model that we speak about is not an idea that is mainstream, convenient or easy to understand or do. However, this model is what is required to jump start sustainable change in this country. So another important UVA vision is to lead a movement of purpose driven impactful people who subscribe to this model while understanding the power they have to create, influence and sustain progressive ideologies. The most amazing for us is the story of the Yaba College of Technology Secondary Students that came for our 2011 conference and were charged with the responsibility to do something for their community with the knowledge they received. These students choose to forfeit their lunch money for one whole week to raise over N100,000 to buy Christmas supplies for residents at Lagos Cheshire Home Mushin. Like that wasn’t enough, these teens unilaterally decided to raise N2,050,000 to buy a bus for the home! Knowing that this life changing exercise was embarked on as a result of sending out a simple follow up letter to schools is powerful and quite representative of everything that we stand for and have gone through in the past two years. Also, the story of Lekan our street teenager who under our mentorship moved from cleaning windows on the street to gainful employment is another achievement we are very proud of. You chose education as your main advocacy tool and teenagers as your target group, Why? Our logic is simple! If you go back to the basics; the question we all must begin to ask ourselves is what is it about our system and society that has produced the calibre of leaders that we all seem to complain about? What is it about our society that seems to produce leaders and followers that choose to compromise the future of the general good for a temporary gratification for a few people? Why is it that our government policy framework is not people centered? Why is human life not valued in the country? Why are the provision of quality amenities which appear to be a common sense matter for the westerners not a common sense matter in Nigeria? If you attempt to think about these questions and possible solutions critically, the ideal solution for our problem has to be embedded in a process that produces the people of the society. To solve the problem, the process that seems to be producing people with the wrong attributes and skills as it relates to our country’s development must be reviewed and re-engineered to produce better citizens. This process, for us is Education. When we say Education, we mean the formal education, popular education and mentorship education. I am personally thrilled by the power of education especially formal education; through a simple change in national curriculum, you can change the future of the nation. The focus on teenagers is because the change Nigeria needs is a sustainable change that will live beyond its founders. The mentality UVA is guided by is, if we can’t do anything about today, we must be able to do something about tomorrow. The teenagers of any country collectively make up the total foundation of any nation’s future at every given point in time. Each teenager is like a single brick out of the future foundation hence the goal is to make as many teenagers as beautifully molded as possible so that all together they make a nice solid complete foundation. Often times when we get into change related fields or the developmental sector, we have this very altruistic motives and intentions but when it comes to the gritty of it all, the challenges can seem so overwhelming and you start to ask yourself why you started in the first place. What have been your most overwhelming challenges and what things keep you motivated? Within my role, the most overwhelming challenges are usually in periods when it just feels like everything is crashing down on us. From people disappointing you, to ignoring you to the financial constraints to the program not going as planned and having to make some hard decisions based on perceived principles that hurt your personal relationships. These periods are usually around the implementation stage of our events. I keep myself motivated by zoning out, discussing the issue with my friends, mentally taking myself through why UVA was started in the first place and keeping my self focused on the big picture. People have told me that you only get into charity work, when you have eaten to your fill. I know you have been told by a relative that you need to make money first then you can help people afterwards. What are your thoughts on the critique? A general misconception that people often have is that you need to have eaten to your fill or have all the money and funding in the world to begin something. Instead, I believe the decision to become an active citizen starts with people seeing that it is all in our selfish interest to see that the society progresses, then take responsibility and then the final decision to apply themselves to the issues. This has been proved by our students at Yaba College of Technology Secondary School that gave up their lunch money for a week and raised N2,050,000 to buy a bus. These students are not the richest students in Lagos neither is their school an elite school yet they have been able to do what many rich kids in rich schools have never done. Having said that, all our endeavors need to be sustainable and many people are not willing to give you a chance to jump start your vision with their funds. Hence, the only way that you can prove to people that you are serious is to provide results through whatever means possible. Sometimes, your funds from work or savings may be the only way to jump start your passion and eventually get people’s attention. I know that we both share the same views on the idea of individual responsibility as a key element to social change. A lot of people think we have to do the grand things for any kind of impact to be made. To what extent is this true or false for you? To a certain extent the grand things are fantastic and needed, but not all necessarily at once. People need to remember that so many small things come together to make one grand thing. If everyone is focused on doing their own small part, we all will be Ok. As an organization, our philosophy is to ‘Go big, or stay quiet’ in view of our opportunities and limitations. In this line of thought, we have applied the framework of getting as many platforms to do ‘small things’ in their own way for the ultimate goal of creating as big an impact as possible that always goes beyond and inspires more people to do something. This model was used in our soup kitchen project where the teens were supposed to bring their own ‘small thing’ towards the collective goal of feeding 500 people. So from one person’s bag of pure water to a carton of noodles to a crate of eggs, the students made magic happen in Ajegunle without breaking the bank. Funding is as big an issue to people in the change sector as much as for people in business. How has that been for you? My dear, it has not been easy. We have gotten very minimal funding and it has been from two companies; Bedmate Furniture and Maple Education Canada. As challenging as this funding thing is, ironically, i think it has brought out the best in us in the sense that we have had to think more innovative and forced ourselves to demand the highest return on investment from all our programs. This challenge will soon become a strength for us as we will be able to show potential donors that we are good resource managers. Practically speaking, we have learn’t how to be strategic in our program implementation and take our big visions in small chunks. There are lots of debates that not-for-profits are no longer sustainable and lots of individuals are moving into social enterprises and social businesses. What are your sustainability models as well as your models for measuring impact? Well, we have reviewed our program implementation model to increase the involvement of our teens in the creation and deployment of ideas. This new model is also supposed to serve as a vehicle that impacts problem solving, critical thinking and passion for Nigeria on the participating teenagers. Using this system, we also get the kids to fund raise for their programs of interest. So for example, UVA May and June 2012 soup kitchen was fully powered by our teenagers. As an organization, we spent approximately N25,000 in deploying two soup kitchens that fed over 800 people. Secondly, we have started seeking opportunities to sell our services. Some of those services we provide include general consulting on education and teen matters, Career testing, counseling, mentor-ship and the development of extra curricular and community activism curriculum. We have provided some of these services to schools like Oxbridge Tutorial College and Corona Secondary School Agbara. Our teen magazine was also started as a product that can be used to create revenue via sales and advertising. 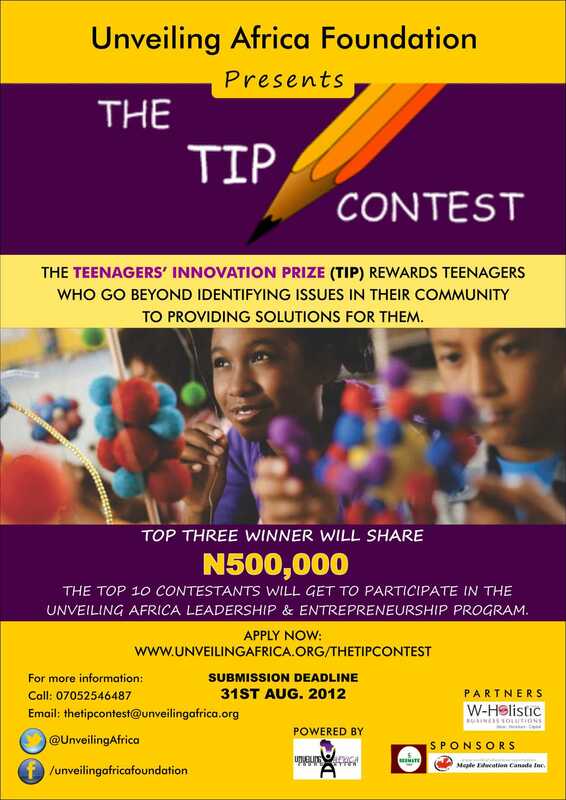 UVA is organising its first innovation contest called ‘TIP’(Teenagers Innovation Prize). Tell us more about this and what are your hopes for The TIP in the next five years? The Teenager Innovation Prize seeks to reward teens that go beyond talking about Nigeria’s problems to actually providing solutions for them. So for example, we want to see how teenagers will solve community issues affecting them such as bad roads, traffic problem in Lagos, flooding issues, and lack of access to basic survival amenities. TIP replaces UVA’s annual essay contest which we did for two years and found it hard to measure progress as it relates to practical measurable impact. The essay contests produced more of what Nigeria doesn’t need; talk, talk with no action. The TIP prize is supposed to serve as a vehicle to promote, encourage and reward problem solving amongst our teenagers. Participants in this year’s contest are expected to create a viable idea which will be presented in a PowerPoint presentation, executive summary and video. Our vision for TIP in the next 5 years is that it becomes a prestigious prize teens and schools aspire to win thereby making innovation and problem solving for social change a ‘cool’ thing that everyone sees how they can be a part of. Some of the key elements missing in our educational and teaching systems are critical thinking, problem solving, and analytical evaluation, which one could say are the enemies of innovation. For a long time we have been raised to cram and regurgitate and a lot of our examinations are a test to that. How dangerous is this for teenagers and young adults in the long run, and how can we start to incorporate those models into our children’s thinking patterns and operating systems? Nigeria’s biggest challenge is really that the majority of us are not equipped with the skill sets, values, passion and knowledge required to drive the change that we all speak of. This particular problem is what I believe our educational system has produced. The danger here is that if a catalyzing action isn’t taken as soon as possible to produce more citizens with the capacity to produce the change that we all speak about then our dream for a better Nigeria will remain a dream for much longer. In terms of incorporating the model of critical thinking and problem solving into a child’s thinking pattern, this can be done by simply encouraging children to ask more questions about any and everything. Parents and guardians need to explicitly tell children to ask more questions, to be curious about why things are the way they are and to know that there is nothing like a stupid question! Children need to know that our society, norms, values, habits are ‘man made’; that is, most of our societal values, habits are not handed down from heaven and are in place as a result of certain assumptions, beliefs and the agreement or silence of a group of people. In other words, these habits, norms, values can be challenged and should be reviewed from time to time to verify their validity and create new values if necessary. Beyond getting our children to be curious about things and ask more ‘whys’, we must push them into the ‘then what’ phase which we call the ‘problem solving’ phase. Parents and guardians should provide a platform for children to get through the ‘then what’ phase and reward them for that. I mean this system could be applied on very simple day to day issues at home. Now, what we recommend here requires a more involved, engaging, time consuming, intelligent style of parenting hence parents and guardians need to re-evaluate their parenting styles and brush up on their own critical thinking and problem solving skills. This is probably one of the most critical contributions parents and guardians can give towards the national development process. What have you learned from your UVA journey and what would you do differently? My experience with UVA in Nigerian the past two years has probably been the most holistic learning experience for me as an adult. It has helped me grow in my virtues/habits /values in the area of patience, humility, sacrifice, self control, discipline, hard work and focus! Most importantly, I have grown spiritually; this is what I think has lined things up for UVA. I have learned more about myself in terms of what drives me and what my true calling is; I used to think politics was for me but I have seen that I am an educator and meant to drive civil society. Moreover, i am a free spirited enjoyment girl that loves living a vibrant limitless life. I love to find new places to eat and enjoy so that I can give my visiting friends a great time. I also love dancing especially to a live band and Owambe; that’s what keeps me sane. I doubt that I will have the energy or freedom to maintain a balance between these habits/desire and the demands of politics. I am happy to have found out in this journey that I can contribute to Nigeria and Africa at the quality and intensity that I would love to as a civil society actor. I have also gained technical and first hand knowledge about the issues in Nigeria which serves as great content to work with as I move back into academia. What i would do differently: I would plan more holistically from the onset and would tap into my international leverage more than I did. I pray you find the strength to carry on with such badly needed work. Your vision isnt shared by those in power,but you are being seen and noticed. Keep going foward sis, Well done.To say the least.